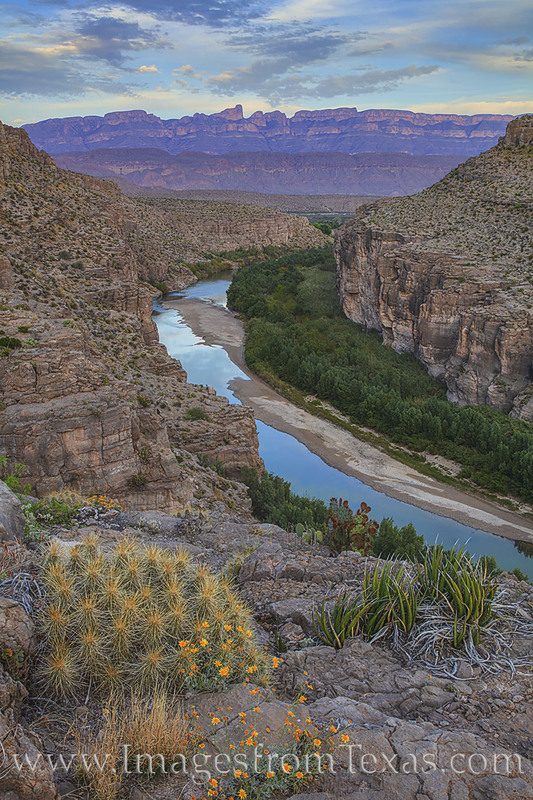 In the soft light of the evening, the Rio Grande flows west through Hot Springs Canyon. In the distance, the Sierra del Carmen’s rocky cliffs rise into the warm spring air. The hike to reach this location was about 1.5 miles, plus a little off-trail exploration. And we never saw another person after leaving the parking lot at the trailhead. This image can be printed in larger sizes, as well.